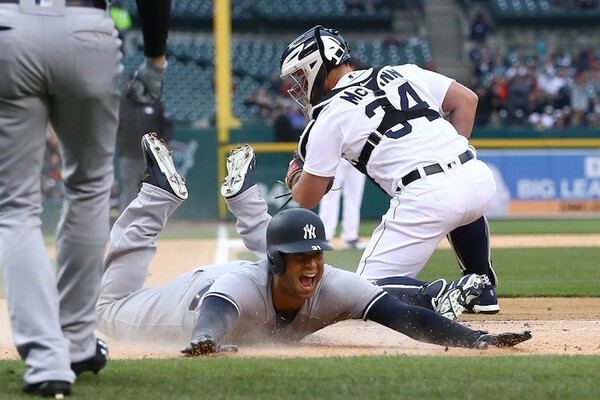 Coming off two wins against the Orioles in rainy Baltimore over the weekend, the Yankees head west to meet up with the Tigers for a doubleheader on Monday. The two teams will conclude a series that was originally scheduled to be played in April. As has been the case for the Yankees all season, the team ran into some terrible weather in Detroit back in early April and now has to make up two games on what was originally a scheduled off day. The Yankees enter play with a 37-17 record, which gives them the best winning percentage in MLB at .685, despite technically being a game behind the 41-19 Boston Red Sox. Yeah, Mother Nature has rendered the standings a mess. On the other side of the diamond, the Detroit Tigers have been one of baseball’s pleasant surprises. After finishing with the worst record in the league last year, the Motor City Bengals are 28-31 and only 2.5 games behind the Cleveland Indians in the AL Central. Yankees ace Luis Severino gets the ball in the first game of the twin bill looking to build on what has been a stellar season. 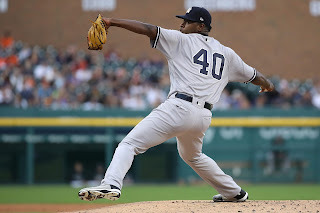 Besides a blip on the radar when he allowed five runs over five innings in April at Fenway Park, Severino has not surrendered more than three runs in any start. Most recently, the 24-year-old right-hander gave up two runs over seven innings in a winning effort against the Houston Astros. Now, Severino will take on a Detroit offense that has been surprisingly solid this season. Led by Nicholas Castellanos (.336, 6 HR, 32 RBI, .904 OPS), the Tigers rank 12th in MLB in runs scored and 11th in OPS. If the Bombers are going to improve to 12-1 in Sevy’s starts this year, they will need to keep Castellanos at bay. Monday will mark the first start of the season for Drew VerHagen with the Tigers. The 6’6" righty will be recalled by Detroit after pitching to a pristine 1.32 ERA over six starts with triple-A Toledo. So far in his big league career, the 27-year-old has been unable to replicate that kind of success, as he has posted a 5.04 ERA in 73 games (three starts) over parts of five seasons with the Tigers. Before being sent down this year, VerHagen made nine relief appearances for the Detroit in March and April, and owns a 6.30 ERA in 10 innings pitched. VerHagen faced the Yankees out of the bullpen back on April 13th, retiring both hitters he faced. 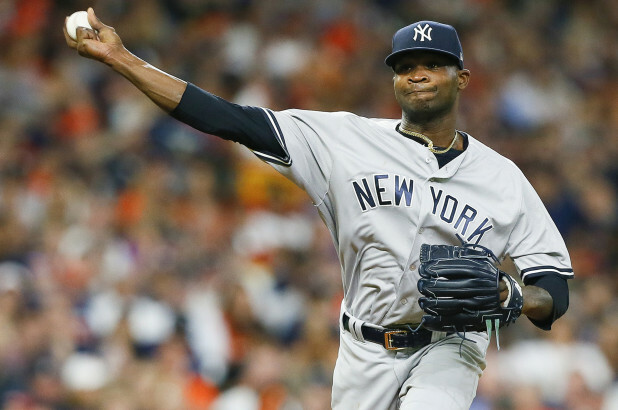 Domingo German gets the ball for the Yankees in the night-cap. In his last three starts, German is 0-2 with a 9.57 ERA over 14.1 innings pitched. Last time out, the 25-year-old Dominican took the loss after allowing three earned runs in 5.2 innings against Houston. However, there were some definite positives to take away from the outing. After allowing a three-run home run in the second inning, German looked really sharp the rest of the way. He allowed just three hits, and struck out six, over his final four innings of work. German clearly has great stuff, but a lack of control has held him back early in his career. His 4.4 walks per nine innings would rank sixth worst in baseball if he qualified. German’s best start came against the Indians in early May when he pounded the zone and fired six no-hit innings, walking two, and throwing 63% of his pitches for strikes. As for this game, Detroit is dead last in MLB with 155 walks as a team, so this could be a dream matchup for the Yanks’ young righty. The Tigers will counter with veteran right-hander Mike Fiers. Fiers is enjoying a respectable first season in Motown, carrying a 4-3 record and 4.45 ERA into this contest. Fiers started game one of this series back on April 13th and allowed five earned runs over 5.2 innings pitched. This falls in line with his 6.20 career ERA against the Yankees in four starts. 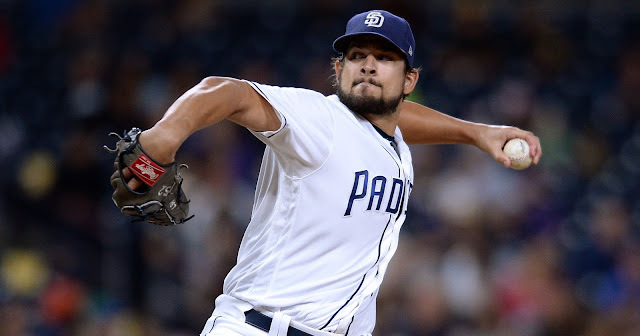 The 32-year-old right-hander’s most recent outing was last Wednesday against the Angels when he allowed one run in 5.2 innings in a no-decision. Fiers is basically the poster boy for average MLB starting pitchers. He has pitched between five and six innings in 11 of his 12 starts this season and has allowed three or more runs in five of them. Expect the same type of outing on Monday. Aaron Hicks: In case you didn’t notice, Aaron Hicks has dynamite numbers against the two Detroit starters. He is a combined 4-8 with three home runs and five RBI against VerHagen and Fiers. Additionally, Hicks is swinging one of the hottest bats in the Yankees’ lineup over the last 15 games, hitting .316 with two home runs and 10 RBI over that span. During that time, the Yankees’ center fielder has raised his season batting average from .213 to .253. If you play daily fantasy baseball, Hicks seems like a pretty good option for Monday. Gary Sanchez: While Aaron Hicks is a player to watch for a good reason, Gary Sanchez is a player to watch because of his recent struggles. Sanchez is 2-29 in his last nine games and has looked absolutely lost at the plate lately. The importance of Gary Sanchez to the Yankees can’t be overstated. When he is at his best (see August 2016 and 2017), Sanchez is their best hitter not named Judge. The Yankees are going to need Gary to round back into form sooner rather than later to help stabilize their potent lineup. A trip to Comerica Park where Sanchez is 8-20, with four home runs, could help get him going. 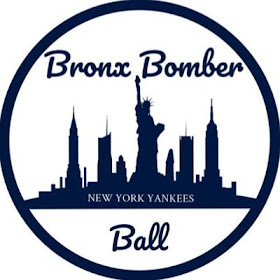 Clint Frazier: Clint Frazier will be recalled from triple-A Scranton/Wilkes-Barre and serve as the 26th man for the doubleheader. With the Yankees already carrying eight relievers, it makes sense to bring up another bat in case of injury, or for late-game situations. Frazier has been scorching hot for Scranton/Wilkes-Barre, hitting .327 with five home runs and eight RBI in 25 games. 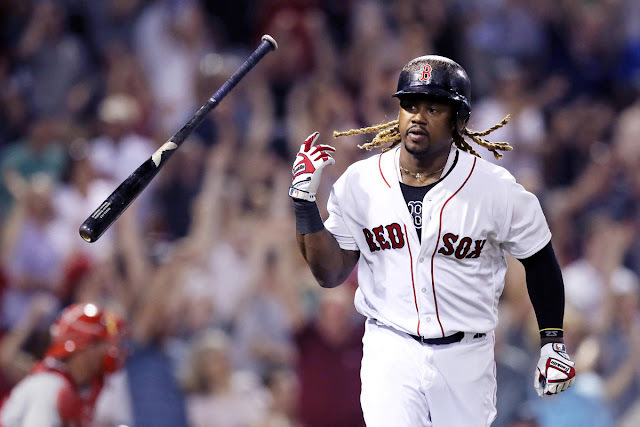 It is unlikely that the 23-year-old outfielder will see any action Monday, but the selection of him as the 26th man is noteworthy nonetheless. 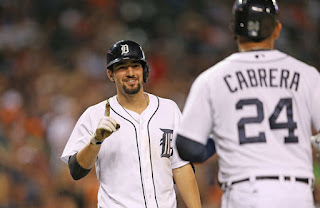 Nicholas Castellanos: Simply put, Nicholas Castellanos is the best player on the Detroit Tigers. After a long-awaited breakout campaign last year, Castellanos has followed it up this year by hitting a robust .336 with six home runs and 32 RBI through 56 games. Additionally, his .904 OPS ranks 17th in MLB and he is tied for fifth with 19 doubles. If anyone in this lineup is going to do damage against Luis Severino, it will probably be Castellanos, who is 4-8 in his career against Sevy. Miguel Cabrera: Miguel Cabrera might not be the machine he once was, but he’s still a pretty darn good player at the age of 35. Miggy was just activated off the disabled list on Friday after missing nearly a month with a hamstring injury. In 29 games this season, Cabrera is hitting .320 with three home runs and 20 RBI. He, like Castellanos, also sports an OPS above .900, with his sitting at .903. Considering his age and hamstring issues, it wouldn’t be a shock to see Cabrera sit out one of the two games, but he has the potential to do damage regardless of how many at-bats he gets in the doubleheader. Doubleheader Outlook: As previously mentioned, the Tigers have been a surprisingly decent team this year, and they’re 7-3 in their last 10 games. Add in Detroit's 19-13 record at Comerica Park, and the Yankees woeful record in doubleheaders recently (2-8 since 2015), and it’s probably fair to say that a sweep won’t be easy. The Yankees should take game one behind Severino, but game two is a toss-up. How locked in Domingo German is will go a long way in determining the Yankees fate in that one. But let’s remember that since the Yanks took game one of this series all the way back in April, all they need is a split on Monday to secure a series win. Oh, and get used to doubleheaders, because the Bombers already have three more on their schedule the rest of the way.